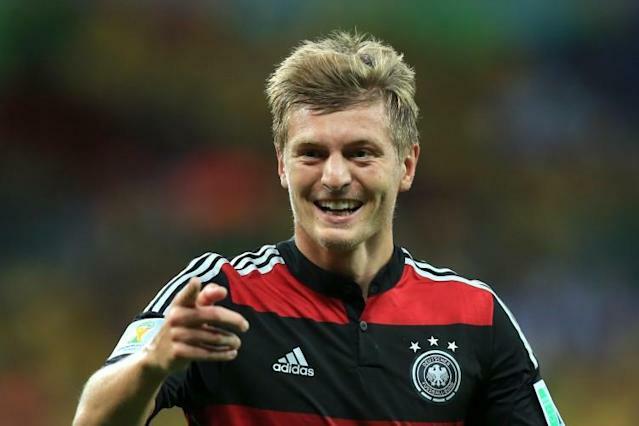 Germany’s world cup-winning midfielder Toni Kroos will today be presented as a Real Madrid player at the Bernabeu. Kroos has made little secret of his intended destination since Germany defeated Argentina in Sunday’s final, but today Real Madrid have announced that they have agreed a fee with Bayern Munich. The cost of the 24-year-old is widely reported to be in the region of €30 million with Kroos signed to a six-year contract.